When Fiona Simpson won the newly created Sunshine Coast seat of Maroochydore in 1992 at the age of 27, she was the youngest ever woman at that time elected to the Queensland Parliament* and now she is tired and deserves a break from public life. After 20 years, Fiona has grown tired. Her reputation for hard work and strong community representation has since seen her re-elected six times. In September 2006 Fiona was elected as Deputy Leader of the Opposition and Deputy Leader of the Nationals, a position she held until the creation of the Liberal National Party in July 2008. Fiona is currently the Shadow Minister for Community Services, Housing and Women and Shadow Minister for Waste Watch. An award-winning journalist before entering Parliament (Dalgetys Excellence in Rural Journalism Award), Fiona has a diverse background of interests and achievements. She speaks conversational Japanese having lived and studied there as a Rotary Exchange Student. On return to Australia, she graduated with a Bachelor of Arts degree with majors in Japanese, journalism and government. She also holds a Master of Arts in organisational leadership, majoring in communications, as well as a diploma from the Australian Institute of Company Directors. Her ties to the Sunshine Coast are strong, having grown up there as a child, attending Cooroy and Yandina Primary and Nambour High School. 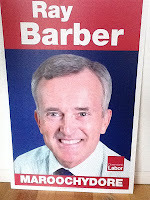 Kevin Rudd, Wayne Swan & Ray Barber also went to Nambour High School. She endeavours to follow the principles of servant leadership - leading by serving others - and actively supports a range of community groups such as sports, church and welfare organisations whose members are building a stronger Sunshine Coast community through their commitment to other people. Two of her favourite sayings are: "don't sit back and whinge about it, have a go and make a difference"; and "there has never been a cynic who has changed the world for the better". Aside from the serious pursuits of life, Fiona stays (relatively) sane, happy and healthy by indulging her love of singing and walking on her favourite Sunshine Coast beaches. She recorded her own album before entering Parliament and is a regular guest artist at charitable concerts. She enjoys tennis, bushwalking and good coffee. 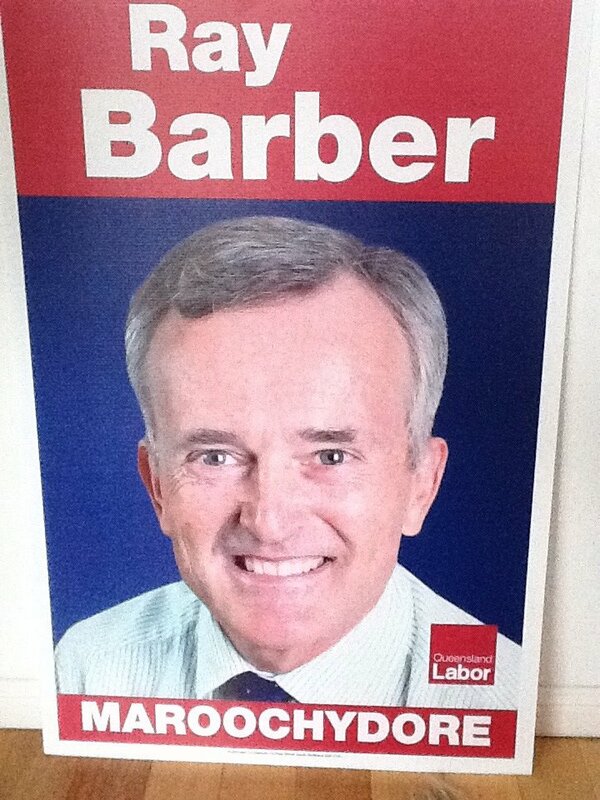 Let's get the electorate of Maroochydore back on track. written by Rowan Barber, with some content plagiaried from fionasimpson.com.au/aboutfiona.aspx and no authorisation from anyone.